Cape Town city center is part of the Cape Town 'City Bowl' and is framed by the main traffic arteries Adderley Street and Buitengracht Street. The city centre is also referred to as CBD (Central Business District) by many. Cape Town harbour and the city's main tourist attraction V&A Waterfront lay to the northeast of the city centre, while the southwestern parts of the city centre are enclosed by Buitensingle Street and Company Gardens. 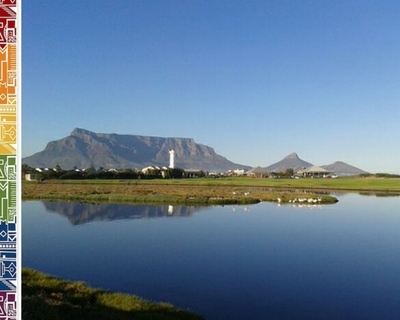 The neighbouring districts popular with many expats include Gardens on the Table Mountain side and Tamboerskloof on the Lions Head side as well as the Atlantic Seabord to the western parts while the area around District Six bordering the CBD to the southwest is still quite 'rough' and under regeneration. Cape Town central is located in the low lying City Bowl area between Table Mountain and Lions Head, the lower lying V&A Waterfront and the Cape Town train station deck. Living in the Mother City’s city centre is becoming more and more popular with younger people and families who want to avoid the frustratingly long daily commutes and who enjoy an urban lifestyle. The many modern high-rise apartment buildings offer not only spectacular views over downtown Cape Town but also superb amenities such as gym, swimming pools as well as concierge services but they do not come cheap. The city centre also is popular with students who attend varsity and college in the City Bowl and enjoy the city's nightlife. Many of the historic Cape Town city center buildings have been renovated and more than 5,000 new flats have been built in the recent years. The modern apartment complexes in Thibault Square, Triangle House and the Convention Towers adjacent to the Convention Centre are amongst the most popular apartment buildings in the Cape Town city centre. If you are looking for centrally located hotel accommodation, the Southern Sun next to the St Georges pedestrian mall is a popular option while the Taj Palace Hotel at the other end of the St Georges Mall and the Mandela Rhodes Place Hotel and Spa are luxury options. The Hilton Cape Town is also conveniently located near the city's main attractions at the entrance to the colourful BoKaap district. Furthermore there are some excellent hotels adjacent to the Cape Town International Convention Centre: The Westin Cape Town and the Southern Sun Waterfront (which is not located at the V&A Waterfront as the name wants to suggest). The V&A Waterfront can be reached from the city centre's convention centre via pedestrian bridge over the busy Buitengracht Street and Walter Sisulu and South Arm roads that link to the new silo district at the waterfront. During the last fifteen years the Cape Town central business district has undergone a tremendous revitalization program undertaken by the Central City Improvement District (CCID). These efforts were first recognized by the International Downtown Association (IDA) which named Cape Town City Center the 'Downtown of the month in June 2009'. Since then, much has improved even further. Several initiatives are in place to reduce the locally high crime rate, especially after hours in the more quiet business districts, as well as to curb international investment in the area to create a pleasant mix of housing and office, shopping and entertainment facilities. Cape Town's residents in the CBD appreciate the short travel times to their offices, abundant restaurant and entertainment options as well as the multicultural mix of the residents. According to the CCID more than 5,000 people live in Cape Town City Centre, with roughly 50,000 more in the surrounding areas. As previously, less than 10% of the people working in offices in the Cape Town CBD also lived downtown, huge efforts were undertaken to improve the number of residents in the city centre while offering also more affordable housing in the area. However, the term 'affordable' certainly seems a bit stretched, as the property prizes for 1-bedroom apartments in the area start around 1.8 million rands/monthly rentals from R8,000. The improved public transport network with regular and safe bus services, however, make the inner city centre of Cape Town very attractive especially for digital nomads, millennials and expats who do not want to pay for private transport and with urban lifestyles, cars are not such a necessity anymore, not even in Cape Town. According to a 2016 survey of the CCID: The top reason cited for living in the CBD and its immediate surrounds was that it was close to residents’ place of work (58%). Many residents (34%) were able to live within 0.5km of their workplace. And a growing number of the CBD residents are young professionals and 47% of all respondents living in the CBD in 2016 were between the ages of 18 and 34. Find further info on the 2016 CBD residents' survey results here. Security of course, is one of the top issues when visiting or living downtown, however, the high security measures implemented in the newly built flats in the CBD provide many special safety features. Furthermore there are other safety measures put in place like CCTV camera surveillance systems, security officers on foot, on bike and even 6 equestrian officers. And the city is still a hub for many international activities. Many international clubs and foreign restaurants are found in the Cape Town CBD. Also expatriates will enjoy the many amenities provided by their expat communities. It is here where you will find the German Kindergarten, the French High School and of course, the Irish Pub, just to name a few. See our info below for further insights. Long Street surely is one of Cape Town’s major attractions; there are many restaurants and bars to enjoy great food and company. A walk along the many Victorian buildings is a 'Must Do' when exploring Cape Town. The pedestrian zone in St Georges Mall is lively and vibrant during the day with street vendors stalls where one can find handmade local gifts, but this area is not very populated in the evening or weekends after the shops close, so just be aware of your surroundings when in the area. Green Market Square with the Old Town Hall is always a hive of activity with many arts and craft stalls from all over Southern Africa. Open daily 9h00 - 17h00. There are also many lovely coffee shops and specialty stores are in the vicinity. 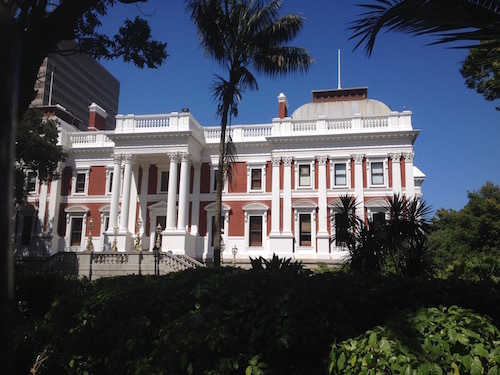 Take in the architecture of the South African Parliament buildings which are located in Government Avenue and see the monument of Queen Victoria next to the Slave Lodge building. Make sure to visit the Slave Lodge, housing the museum of cultural history. The displays, galleries and permanent exhibition in this museum, located in one of Cape Town's oldest buildings, will provide excellent insights into the history of the city. 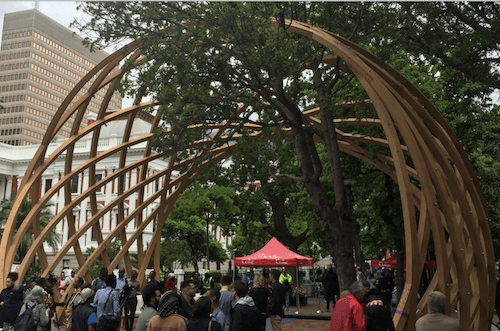 Enjoy the calmness of Company Gardens, watch the squirrels frolicking in the trees, explore the restructured historic 'company gardens of the VOC' precinct, relax in the coffeeshop and then also admire the newly erected 'Arch for Arch' next the St Georges Cathedral. Bordering the Company Gardens are some of Cape Town’s best museums. Read more about Cape Town's museums here. Visit beautiful St Georges Cathedral, the 'People's church' next to the lower end of Company Gardens. The church was centre of the peaceful resistance movement during apartheid. Archbishop Emeritus Desmond Tutu, first black archbishop in South Africa and Nobel peace prize winner in 1984, was the predominant leader of the resistance movement in Cape Town. Beside the serene surroundings, marvel at the colourful stained glass windows and admire the beautiful 'Black Madonna' of British artist and sculptor Leon Underwood. Walk right up to the Mount Nelson Hotel through the Company Gardens and have a delicious high tea with lots of delicious sweet treats. The hotel is often referred to as the 'pink grand dame' of Cape Town’s luxury hotels. Last but not least, smell the scents and shapes of the colourful flower bouquets at the Flower Market in Adderley Street. Here you can source some of the finest local flowers. Open Mondays to Saturdays 9h00 - 16h00. Public Transport: Cape Town’s CBD benefits from the My City integrated bus rapid transport system. Bus stations and bus stops have been placed strategically all over the city. See the main routes on an interactive map here. The Cape Town Train Station is located in Adderley Street: Here local commuter trains arrive and depart, the Blue Train and Rovos Rail are stationed here as well. Cape Town International Airport is 20 km/12 miles to the east of Cape Town city centre, easily reached via the N2 highway. The airport shuttle service main station is located in Hertzog Boulevard, but My City feeder services are available throughout the city centre. Shopping: There is Pick&Pay Mall in Strand Street and Woolworths in St Georges Mall. Many smaller corner stores can also be found downtown for your daily grocery shopping. St Georges Mall is popular for its smaller boutique and handicraft stores. 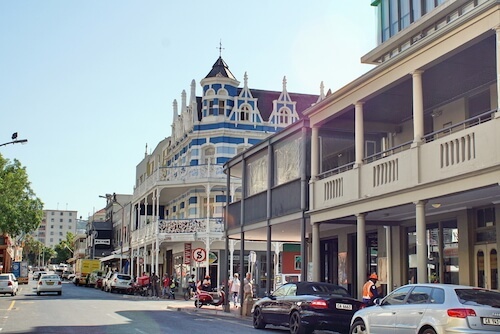 Jewelers’ Alley, Greenmarket Square, entertainment & nightlife hub Long Street as well as the artisan boutiques, specialty stores and foodie scene in Bree Street and Loop Street also are fascinating places to explore in the city centre. Health Care: The private Netcare Christian Barnard Memorial Hospital has been relocated from Long Street to the Foreshore and the private Cape Town Medi-Clinic can be reached in Hof Lane in nearby Gardens. The new Netcare hospital at the Foreshore next to the Cape Town international convention centre opened its doors in December 2016. Various travel clinics are located in the area too, such as Medicross Medical Centre in Loop Street or the Netcare travel clinic in Strand Street's Picbel Parkade. Schools & Colleges: There are many prestigious schools and pre-school facilities to be found in central Cape Town. See our private schools listing here. Further there are numerous private colleges, language schools and city varsities in the city centre. Best to zoom into the map above to get an overview of the facilities. Cape Town International Convention Centre: The city's main convention and conference centre is also situated in the area at walking distance from major attractions and hotels. This convention centre is currently upgraded and expanded and will become a major hub for the Southern African conference and convention business. Please do not get confused: The Century City International Convention Center is located in Century City, 15 minutes outside the Cape Town city centre, off the N1 highway to the northern suburbs and next to the Canal Walk Shopping Mall. Immigration Services: The main Cape Town office of the Department of Home Affairs is located in Barrack Street. This office deals with registrations (birth certificates, death certificates) and applications for IDs (citizens and permanent residents) as well as PR certificate verifications can be applied for there. 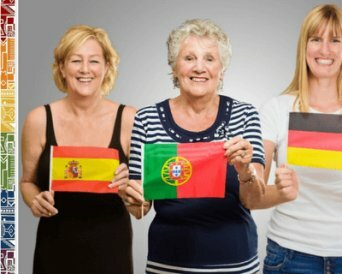 All other immigration and visa services are handled by VFS (since 2014). The offices are located in Long Street. Consular offices for many nationalities are also in the area.